In its first quarter as a public company, NIO's ramp-up was solidly on track. Data source: NIO, Inc. "Adjusted" figures exclude share-based compensation expenses and one-time charges. 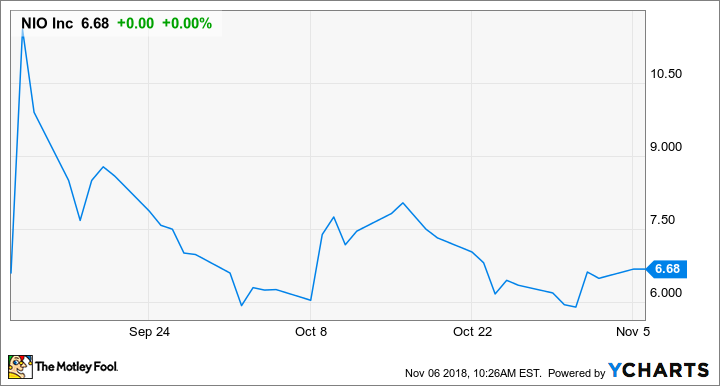 Net loss includes a one-time noncash charge of $1.008 billion for accretion on convertible redeemable preferred shares to redemption value related to NIO's initial public offering. NIO is in the process of ramping up production of its first model, an electric SUV called the ES8. Image source: NIO, Inc.